Video production requires a high degree of organization to be a success. Good organization will require a proper diary to be kept of your production. It is the understanding of the paperwork and its organization that will make your production either a success or a failure. Explained in accessible terms and assuming little prior knowledge of the subject, this book will help you to: plan successful procedures for all stages of a video production; produce paperwork logically to get professional results; understand the basic principles of setting up and running your own business; avoid common (and costly) pitfalls. If you are a student who wishes to learn about all aspects of planning and documenting a video production, from conceptualization right through to final screening, this book is for you. It is particularly suitable for the City and Guilds Media Techniques Certificate: Television and Video Production Competences. 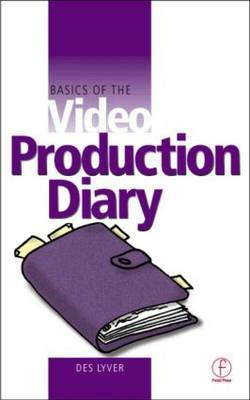 This book complements the other three titles in the series, which allow you to understand the overall process of video production, and then look in more detail at sound and lighting. "...a well-written...interesting and occasionally amusing read."